Commercial Waterproofing Contractor or Roofing Plumber to Repair Leaking Roofs? Most people mistake roof repairs and roof waterproofing, thinking that both are actually the same thing. Nevertheless, there are substantial differences between roof repair and roof waterproofing. The fundamental difference between them is simply that; roof repairs are done not just for repairing roofing leaks, but also for overall maintenance of the roof and for the safety of the entire house. However, roof waterproofing is solely done for preventing roofing leaks, and it may not be suitable for repairing severely damaged roofs, that are beyond waterproofing. The other significant difference between roof repairs and roof waterproofing is that the latter can be performed as a DIY roofing repair and maintenance project, while the former can only be done by roof repair specialists with an intuitive understanding of roof repair and experience in various types of roof repairs. Here is a detailed overview of roof repairs and roof waterproofing to help you understand these two roofing concepts much better. Roof repairs are primarily done to keep the roof well maintained, and further prolong its lifetime. For leaking metal or concrete roof repairs entail fixing common roof problems such as missing shingles, flashing, roof leaks and rusty metal. These repairs are strictly done by professional Melbourne roofing experts, although some roof repairs can be done devoid of intervention by a roofing expert. Severe damages on the entire roofing structure as a result of storms and heavy downpours. When the sheathing of the roof is weak or rotten. When there are missing shingles that urgently need to be put back. When the roof has been blown off by the wind. 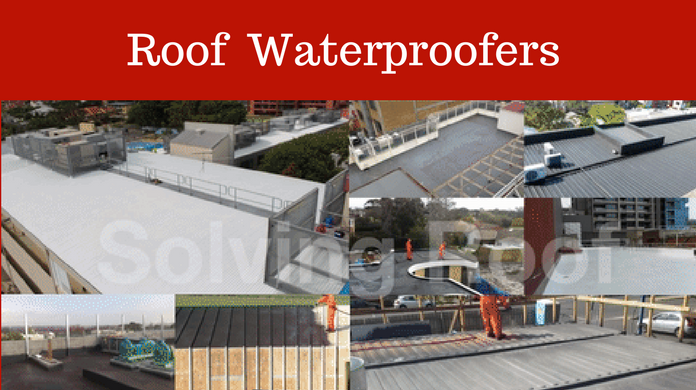 Roof waterproofing is a type of roof maintenance that involves making roof water resistant or water repellent. It is mostly done for preventing future roof leakages or for repairing leaking areas in the roof. Therefore roof waterproofing can be considered part of roof repair, especially where waterproofing is being done for preventing already existing roofing leaks. 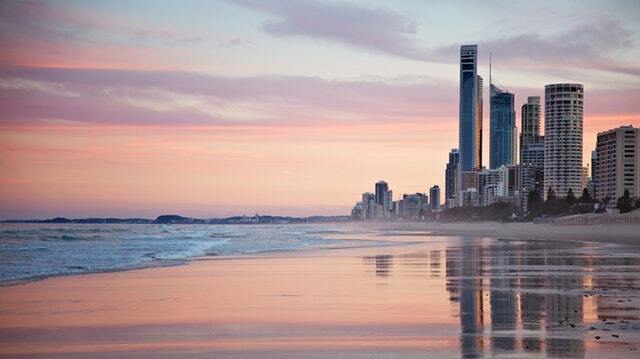 Although some roofing materials, like concrete or metal, in most households across Melbourne are water resistant, they lose their water resistance ability due to weather changes or due to tear and wear over time. Roof waterproofing helps with reinforcing the ability of roofing materials to repel water. Some of the materials used for roof waterproofing include tar paper, EPDM rubber, polyethylene paper and asphalt among others. Lowering cooling bills-roof waterproofing provides the roof with an extra layer of insulation, which in return keeps the air inside your house cool. This consequently saves you from high cooling costs in the long-run. Longevity-roof waterproofing keeps the roofing material water resistant even after several years. This protects the roofing materials from damage as a result of exposure to moisture or rain. As such, the longevity of the room is extended drastically with proper roof waterproofing. Saves money—roof waterproofing can help save significant amounts of money in the long-run since it helps protect the roof and the entire home from disastrous leaks. These leaks can ultimately cost you much to fix. Roof plumbers and roof waterproofers are different, contrary to what most household owners assume. So when dealing with a leaking roof, decide whether you will get a roof plumber or a roof waterproofer going by your needs. Here is the difference between roof plumbers and waterproofers based on the roofing tasks they perform. Roof plumbers in Melbourne are professionals who specialize in the overall roof construction, roof replacement, and roof repairs. Essentially, roof plumbers offer roof plumbing services, which is typically any roofing work that involves repairing faulty parts of the drainage system that collects water from the roof. They deal with roofing water leaks that are attributed to blocked downpipes and gutters, which are among the leading causes of roofing leaks in most households across Melbourne. Rainwater tank installation & maintenance-rainwater tank installation is a delicate task that is left to roof plumbers. Poor rainwater tank installation can cause blockages that can eventually lead to roofing leakages. Roof plumbers typically install the rainwater tank in a way that it can effectively harvest rainwater, but not compromising on the safety of the roof at the same time. Fixing roof leaks-roof plumbers carry out repairs to fix leaks, specifically roof leaks that result from poor stormwater drainage or blocked gutters. These roofing experts also do minor repairs on the roof to detect potential plumbing problems that may eventually result in unexpected roof leaks. Roof flashing repairs-roof plumbers perform roof flushing repairs to prevent stormwater from getting through the roofing structure. Basically, roof waterproofers are tasked with waterproofing a roof either for preventing roofing leaks or for repairing certain sections of the roof where leaking is taking place; Roof waterproofers aren't always professionals with roof waterproofing experience. Much of the work they do, which primarily involves measuring, cutting and installing roof waterproofing material, can be done by almost anyone intent on maintaining their roof. The main advantage of roof waterproofing is that it can be done by almost anyone provided they know how to do it properly. Again, it can be done on different types of the wall including metal roofs and concrete flat roofs. Here is how to waterproof your metal or concrete flat floor roof before calling a roofing plumber to fix possible leaking areas in the roof. Establish the roofing area you want to install the best waterproofing product for metal roof, and then select a suitable waterproofing material. For metal roofs, the best material can be elastic-metric rubber coating, high-quality iron coat or any other material that isn't heated absorbent and which also doesn't allow water to pass through. Moreover, the waterproofing material for metal roofs should also not be vulnerable to rust. For the concrete flat room, the waterproofing material can be of virtually any type as long as it is not water permeable. However, one of the best options for waterproofing concrete flat roofs includes polyurethane liquid membrane or pre-formed sheet membranes. Measure the waterproofing material regarding the dimensions of the roof you intend to install. Ensure it fits well in your roof and then trims the edges where the material will hold on the roof. 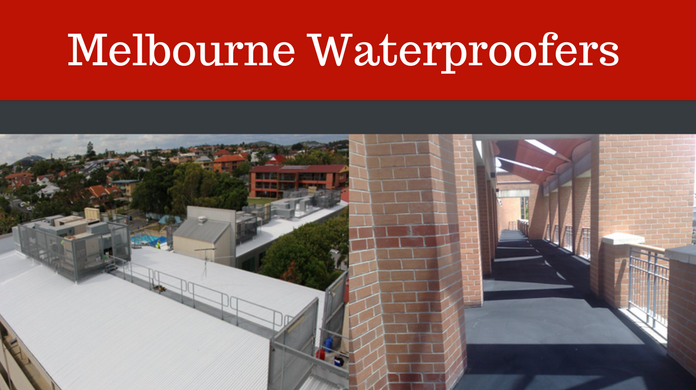 Liquid Rubber Membranes, see website here www://liquidrubbermelb.com.au, for best waterproofing roof product for fastening the waterproofing material on the roof. When the material is left unfastened, it can easily get blown away by the wind hence ruining your waterproofing efforts. For metal roofs, you can use rubber grommets to fasten the waterproofing material upon attaching it to the roof. 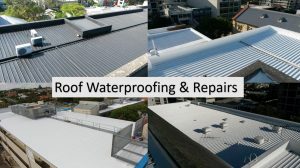 For concrete flat roofs in Melbourne, you need the services of the best waterproofing contractors who roof waterproofing products and methods to solve your roof water leaks.